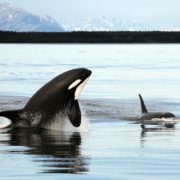 TORONTO – Animal Justice Canada Legislative Fund is applauding a groundbreaking announcement today by Community Safety Minister Yasir Naqvi that Ontario will ban captivity for orcas. In doing so, Ontario becomes the first Canadian province to join a growing list of countries that have said no to keeping orcas in captivity. This list comprises at least 14 countries, including Switzerland and India, and the state of South Carolina. New York and California are currently debating legislation that would ban orca captivity. Ontario will also introduce new standards of care for marine mammals in captivity that it promises will be “the best in the world.” Unfortunately, the announcement does not appear to include licensing for aquariums or zoos. According to media reports, a new, voluntary registry for zoos and aquariums has only seen only 35 of the 62 zoos and aquariums in Ontario sign up.